Even though fall is just around the corner, spring has already sprung at New York Fashion Week. 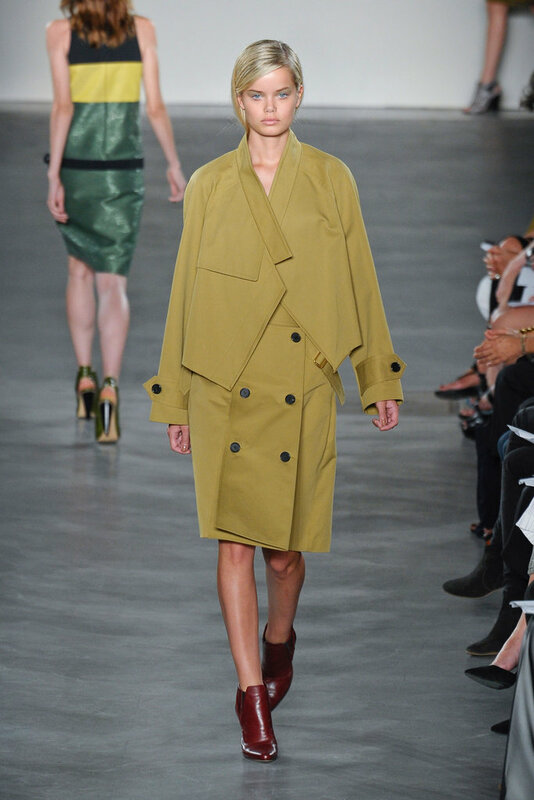 Derek Lam brought the unexpected for spring. The rich colors of yellow, blue, green and reds were more autumn than spring. Details were simple yet complex. Several elements were at play throughout. Assymmetrical lines, pleated hems, boxy cuts and geometric shapes catch the eye. This collection is for the modern city slicker. Leather was a key fabric, unusual for spring/summer, made into tailored crop tops paired with perfectly cut skirts. Although it's hard to imagine donning leather in the mid-summer heat, it was light and movable which makes it seem slightly wearable for that season.